Starting with a simple design. In this case I use a Mirrored Poly and drew 3 arcs on the mirrors, then used the handles to curve the arcs. Once I applied mirrors, I got the following results. 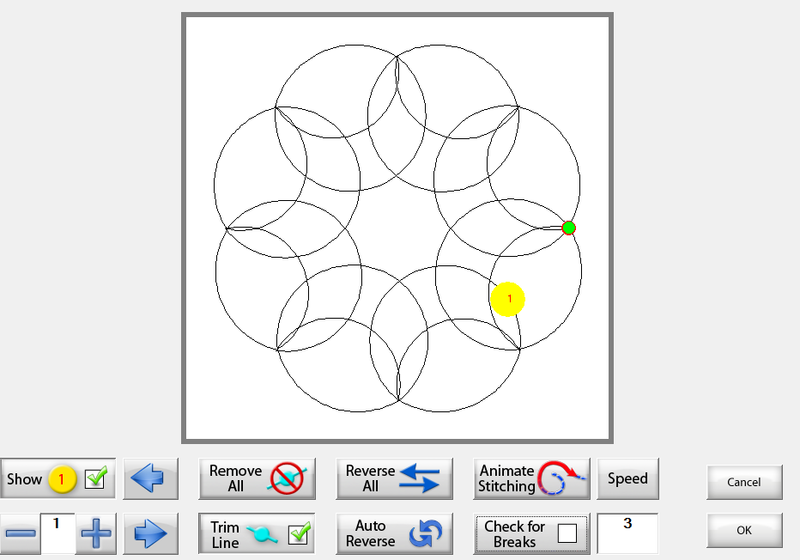 Because I did 3 line, I know that I should be able to quilt the continually but quilting all three lines and then moving to the next circle. If I had done and even number of lines, I would need to quilt one line moving around the wreath and then quilt the second line around the wreath. Odd numbers let you move forward, even number take you back to where you started. 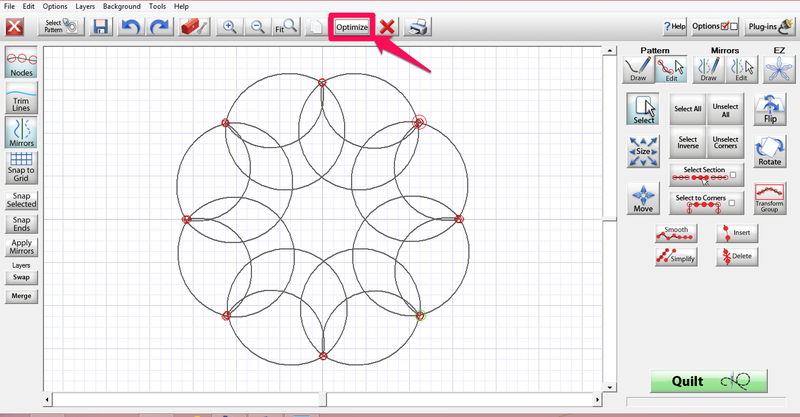 I started out changing the directions of just one line segment. If you put your mouse (or old you stylus) directly over one of the lines, but not over the yellow line number dot, the entire line will be highlighted yellow. If you click on the line while it is highlight it will reverse just that one line segment. Notice that it did remove one of the jump stitches. If I was to click on each of the line segments it would actually get rid of all of the jump stitches, in this case. Notice on the bottom left that I have Show Line Numbers checked and that I am working with line 1. I click on the second line segment to reverse it and then took the screen shot above to show you that the line number will change to 3. 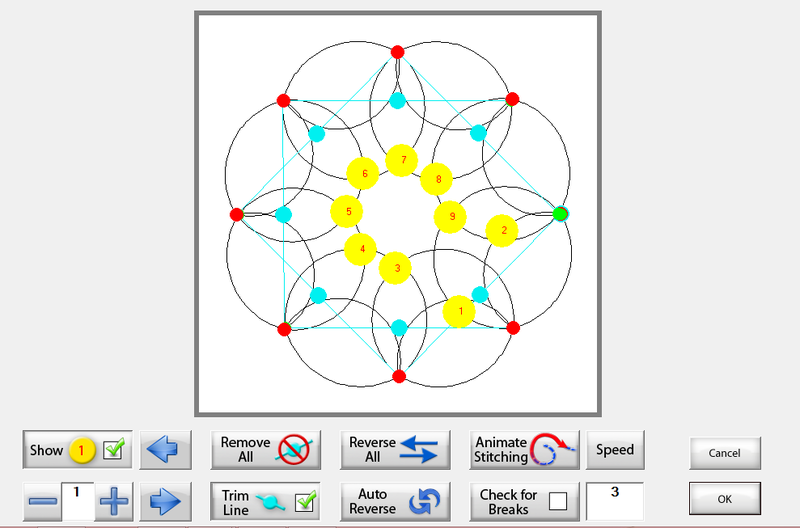 When you are working on designs that you need to change the order of the quilting. 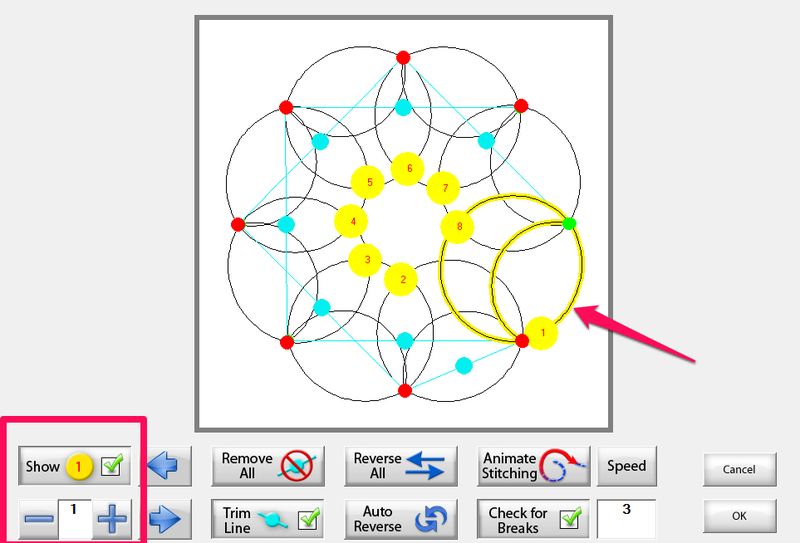 If I wanted the node that is currently marked as 7 to quilt 3rd, I would simply click on the yellow number 7. There are times when I am working on designs that have over a hundred segments. 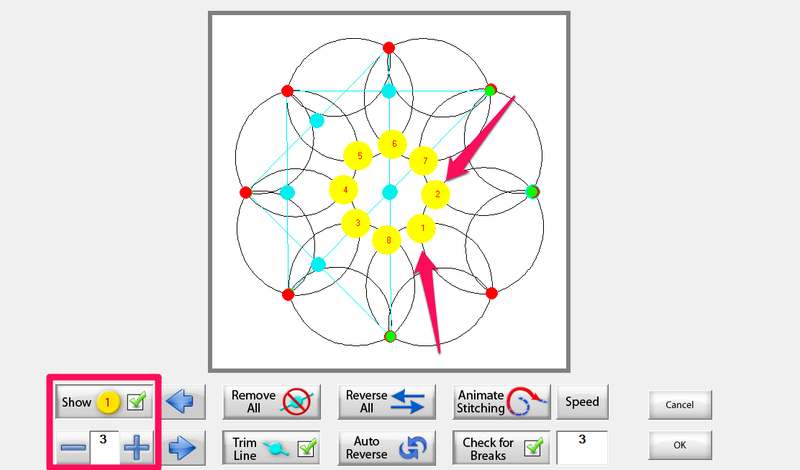 I play with the order and get small amounts of the design quilting in a logical order then click OK to on the optimize screen to save my work. Then go back in to work on another segment. Are there other ways to accomplish this? Yes there are. Notice the Reverse All and Auto Reverse buttons. They will both accomplish the same thing in just one click. The Reverse all will reverse the direction of every line for the entire motif. 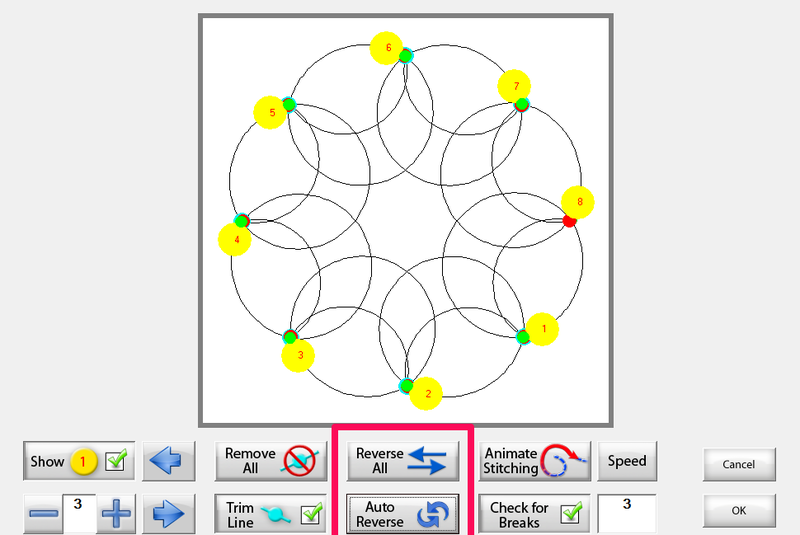 Auto Reverse will optimize the pattern to reverse it from the way it started. All three of them will give you the results that are shown above. Then you would get rid of the jump stitches like we discussed in Basic Optimization. The last thing we need to talk about is the Animation Speed. For a printable version of this post, click here. Tech Sunday will begin again this week!